The Shvetambaras, as a distinctly separate church developed only after the Valabhi Council. The Council was held in the year 980 (or 993) after the death of Mahavira (about the middle of the 5th century A.D) for the purpose of collecting the sacred texts and for reducing them to writing. It was presided over by Devarddhi Kshamasramana. An important work of this period was the completion of the Kalpasutra of Bhadrabahu. 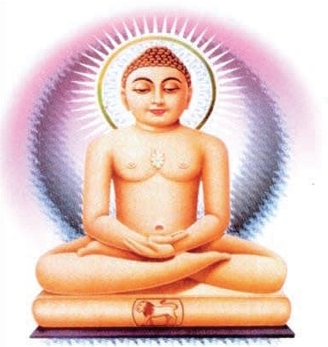 The whole of the Kalpasutra cannot be ascribed to Bhadrabahu who has died 170 years after Mahavira. The Kalpasutra has three sections. The first section contains the Jinacaritra, "the biographies of the Jainas". The main portion in this section is the biography of Mahavira. The second section of the Kalpasutra consists of the Theravali, i.e. the list of the pontiffs, and also the name of the schools (gana), their branches (shaka) and names of the heads of the school. This list contains names of the pontiffs up to Devarddhi nearly 30 generations after Bhadrabahu himself. Thus the list could not have been compiled by Bhadrabahu himself. The third section of the Kalpasutra contains the Samacari, or Rules for the ascetics, namely, the rules for the rainy season of the (pajjusan). It has been conjectured that this, the oldest section of the Kalpasutra was the work of Bhadrabahu. Indeed the complete title of the Kalpasutra is Pajjosanakappa, through this name fits only the third section. The other two sections according to the tradition, were added later by Devarddhi. So far as an ordinary Shvetambara layman is concerned the Kalpasutra is his most important sacred text. It is revered almost in the same manner by as the Bhagavad-Gita is revered by an ordinary Hindu. The Kalpasutra in the present form is also the first text of the Shvetambara Church, not accepted by the Digambaras. In regard to the earlier literature of the Jainas, i.e. the sayings of Mahavira and the principal ganadharas, the Valabhi Council reduced to writing whatever the Council thought had been authentically handed down. These are the canonical books of the Shvetambaras. They are called the Angas Upangas, etc. and number 45 in all. The Digambaras do not accept them as authentic and canonical, but do not reject them completely either. During the nearly 10 centuries that passed between the death of Mahavira and the Vallbabhi council, many scholars had written commentaries on these Angas, Upangas, etc. These commentaries are called Nijjutis or Niryuktis. All these commentaries would be necessarily be considered Shvetambara Literature. Similar would be the position of all the other Jaina literature. Similar would be the position of all the other Jaina literature considered not acceptable by the Digambaras. One such example would be the commentary by Umaswati or Umaswami on his own Tavarthadhigama-sutra. While the text of this work is acceptable to both the sects the commentator by the author himself is rejected by the Digambaras. Yet another method of identifying a Shvetambara work is by the name itself. This method is applicable to mythologies only. While the Shvetambaras call the mythologies caryias or caritas the Digambara term for a mythology is purana. Thus the Rama epic Pauma-cariya by Vimala Suri may be called Shvetambara work. This was composed 530 years after Mahavira's death i.e. in or about A.D. 4. (However, except for occasional differences the tales described in both sets of the epics are essentially the same. In other words, but for the name it would be difficult to assign the epics to any one sect). The Shvetambara monks composed a large number of commentaries between the 6th and 9th centuries. These later commentaries were called churnis. One churni on the Nandi-sutra called Nandi-churni mentions that a council had been held in Mathura also. This churni was completed in Saka 598 i.e. 676 A.D. i.e. after the Vallabhi Council. The Mathura Council. The Mathura Council was presided over by Skandila. His name does not occur in the list of sthaviras of the Kalpasutra, but Jacobi notes in his translation of the Kalpasutra, that he might be the same as Sandilya mentioned 33rd in the list of the sthaviras. It is not clear what the results of this Mathura Council were. Probably the Council did not come to any final decision. Another important churni of this century is that of the Avashyaka-sutra by Jinadasagani. This gives a long description of Mahavira's journeys during the 12 1/2 years that he wandered as an ascetic before attaining the kevalajanam. Jinadasagani must have obtained his facts from an earlier and reliable source, for his description of Mahavira's travels is considered more or less authentic. One important thing that happened during the fifth and sixth centuries i.e. during the Gupta period of Indian history was that the Jaina iconography was standardized. This iconography is more or less same for both Digambaras and Shvetambaras, except of course for the fact that the Digambara images of the tirthankaras do not have any clothes or ornaments. Two postures were standardized for these images: one standing, called the kayotsarga, and the other sitting in the yogasana pose. The thirthankaras in the northern India all had the srivasta mark on their chests. They were also given distinguishing signs called lanchhanas and in addition each thirthankara was given a pair of attendants called yaksha and yakshini whose images are carved on the two sides of the tirthankara. At the time of Mahavira, the yakshas as we have seen, were popular local divinities and there were yaksha temples in all the towns of Magadha. As the worships of yakshas diminished, they became in the case of the Jainas the attendants of the tirthankaras. They however served a useful purpose in Jaina worship. A tirthankara does not answer the prayer of a devotee, and therefore no worshipper when he performs a puja in a temple asks for any gift from him. But if an uninstructed Shvetambara does ask a gift his prayer would be answered not by the thirthankara (who as a matter of fact does not even hear it), but by the yaksha in attendance of the tirthankara. A class of deities which became quite prominent during this period were the vidyadevis. In the beginning there was perhaps only one vidyadevi, viz., Sarasvati, the Goddess of Learning. A Sarasvati image has been found even in the Kankali-tila remains in Mathura. This can be dated latest to the end of the 3rd century. Later a new set of vidyadevis were added to the Jaina pantheon, and ultimately we have sixteen of them. Their names are Rohini, Parajnapti, Vajrashrinkhala, Vajrankusha, Apraticakra, Purushadatta, Kali, Mahakali, Gauri, Gandhari, Sarvastra-Mahajavala, Manavi, Vairotya, Achchhupta, Manasi and Mahamansi. All these sixteen can be seen depicted, for instance, in the famous Dilwara temple at Mt. Abu. None of these sixteen vidyadevis carried the usual attributes of the Goddess of Learning, viz. a book and a vina (lute). Also from their names it appears that they were similar to the Buddhists and Hindu tantric goddess. It will also be noticed that the period when the Jaina vidyadevis evolved was the period of the heyday of the tantric movement in India. Haribhadra Suri laid the foundation of Shvetambara intellectual movement which culminated with Hemachandra Suri in the 12th century. "It is said that before Haribhadra's time only one-eighth of the whole Shvetambara literature available today existed and to the remaining seven-eight he was the greatest contributor and inspirer by example". Of these 88 have so far been discovered and of them 26 are definitely known to be his creation. Haribhadra, a pupil of Hinabhadra (or Jinbhata) and Jinadatta, from the Vidyadhara kula lived in the 8th century, probably between A.D. 705 and A.D. 775. He was born at Chitrakuta, the present-day Chittorgarh, as the son of a Brahman and was instructed in all branches of Brahmanical learning. Proud of his enormous erudition he declared that he would become the pupil of any man who could tell him a sentence the meaning of which he did not understand. This challenge was inscribed in a plate which he wore on his stomach; whilst another legend has it that he laid gold bands around his body to prevent his bursting owing to so much learning. One day he heard the Jaina nun Yakini reciting a verse, the meaning of which he did not understand. He asked her to explain the meaning which he did not understand. He asked her to explain the meaning to him, she referred to a teacher Jinabhatta, who promised to instruct him if he would enter the Jaina Order. So Haribhadra became a monk, and henceforth called himself the 'spiritual son' (dharmputra) of the nun Yakini. He soon become so well-versed in the sacred writings of the Jainas, that he received the title of Suri (honorific epithet of learned Jaina monks) and his teacher appointed him as his successor. In all probability he soon wandered away from his birthplace Chitrakuta, for his life as a monk was spent for the most part in Rajasthan and Gujarat. Apart from being thoroughly well-versed in Brahmanism, he had considerable knowledge of Buddhism through his pupils and his nephews Hansa and Paramahansa, in order to be able to refute its doctrines thoroughly. Haribhadra wrote both in Sanskrit and Prakrit. Probably he was the first to write commentaries to the Canon in Sanskrit. While utilising the ancient Prakrit commentaries, he retained the narratives (kathankhas) in their original Prakrit form. Haribhadra started a tradition of learning among the Shevtambaras of Gujarat and the neighbouring areas, mainly Rajasthan. Udyotanasuri completed his kuvalayamala in A.D. 778 at Javalipura (Jalor in south-west Rajasthan). About a century later, sometime between 862 and 872, Shilanka wrote his commentaries on the first two angas. He translated all the Prakrit sources he had used, including the narratives, into Sanskrit. He also wrote a work on the Jaina mythology in 869. This work is called dharmopadeshamala in Nagapura (Nagor in Rajasthan). Gujarat in the early 11th century was divided into a number of petty states. The Chaulukya king Durlabharaja 1002-1022 who admitted the Jaina pandita Jineshvara Suri in his court was the ruler of Anahilavada (near modern Papan) and Kutch. He was succeeded by his son Bihma. By that time the Jainas has started occupying important administrative posts in this kingdom. Bhima's minister Vimala Shah built the famous Adinath temple at Abu in 1032. It is quite clear that Vimala Shah must have been an immensely rich person. The Jaina religion proved attractive to the mercantile community. This was perhaps because this rich class did not like to be placed in a inferior to the Brahamanas (quite often illiterate, at that), who were placed higher than the merchants in the orthodox Hindu hierarchy. Many sub-casts of the merchantile community such as the Osawal, the Porwals, the Shrimalis and the Shri-Shrimalis were almost entirely converted to Jainism. Hemachandra was born in 1089 in a place called Dhandhuka about 100 km south-west of Ahmedabad. His father's name was Chachiga and mothers name was Pahini Devi. They were Vania by castes. The boy was named Changadeva. The name Hemachandra was given to him much later, when he became a Suri. Hemachandra's father was most probably a Shaiva by religion but his mother was a Jain. The boy was unusually intelligent. Once when Hemacandra was still a child, one Devachandra a Jaina Acharya came to Dhandhuka on his way to pilgrimage. He saw a boy and was struck by his precocity. He thought of bringing him up as a Jain monk, for he surmised that when he grew up he would prove to be an asset to the community. So, accompanied with the local Jaina merchant he went to the house of Chachiga, but Chachiga had gone away to some other place. He therefore, asked the mother to give him the boy so that he could be educated and brought up as a Jain monk. On the request of the acharya, and merchants the mother agreed to give away her son. Devachandra then took away the boy with him to some other town. Meanwhile Chachiga returned home and when he found his son has been taken away he went in search for him. He found the boy in custody of Udayana who was the governor of Cambay, and Jaina by religion. Udayana again requested Chachiga to allow Devachandra to keep the boy and also offered a considerable sum of money to him as compensation. It is said that Chachiga was at last persuaded to leave the boy with Devachandra, but he refused to accept the money. Hemachandra does not mention his guru often in his writings. In fact there is only one instance known, in the tenth book of the Trishashtishalaka-purusa-carita, where he definitely mentions his guru Devchandra. From this it has been surmised that his relations with his preceptor were perhaps not happy. In fact even the story of his life above is not accepted by everybody. There are some other versions of his life story also. Hemachandra, like many other Jaina authors wrote the life of the 63 great persons of Jaina mythology. It is a huge work and is known as the Trishashtishalaka-purusha-carita. This work has standardized and Shvetambara version of the Jaina mythology. He wrote an appendix known as the parishishtapavam gives the history of the Jaina Church for nearly 14 generations after Mahavira, and as stated earlier is one of the two histories that the Jainas have written of their Church after Mahavira. Hemachandra's famous grammar Siddha hema-shabda-nushasana is said to have been written at the same instance of the ruler Jayasinha Siddharaja who wanted to make his capital as well known in the learned circles as Dhara the capital of Bhoja. Bhoja had also written a grammar, the Sarasvati - Kanthavarana. Hemachandra's grammar has eight chapters. The first seven chapters deal with the grammar of the Sanskrit language and the eight with that of the Prakrit language. This eighth chapter is the earliest work of the Western school of Prakrit grammarians, and as such may be considered a pioneering work. Hemachandra deals with practically all varieties of Prakrit, viz. Maharashtri, Sauraseni, Magadhi, Ardha-Magadhi, Paishrachi, Chulika Paishachi and also with Apabhramsha. In the first seven chapters which deal with the Sanskrit language, Hemachandra shows his acquaintance with nearly all the previous grammars of this language. His method is eclectic and it is found that he has made use of both the systems Panini as well as Katantra equally, his object being all the time to make grammar as easily understood by the reader as possible. It is altogether strange that Hemachandra's Sanskrit grammar never became popular outside of Gujarat. Hemachandra wrote a long poetical work called Kumarapalacarita. It is a life of Kumarapala who succeeded Jayasinha as the ruler of Gujarat. The work is also called Dvayashraya Kavya, for its is not only written in two languages, Sanskrit and Prakrit, but it also serves two purposes: besides describing the life of Kumarapala, it also illustrates the rules of Hemachandra's grammar. Abhidhanchintamani, a lexicon in the same style as the Amarakosa. Anekarthasangraha, a dictionary of homonyms. Nighantu, a dictionary of medicinal plants. Deshinamamala, a dictionary of (native) words not derivable by the rules of Sanskrit or Prakrit grammars. Besides these, Hemachandra also wrote on Poetics Kavyanushasana, Prosody (Chandonushasana) Nyaya, (Pramanamimansa). Yogashastra, etc. He also composed some devotional songs. Jayasinha, ruler of Gujarat, did not have a son, and therefore, there was no direct heir to the throne of Gujarat. Until his last days, however he hankered for a son. For this purpose he had once gone to the temple Somanath on pilgrimage. Hemachandra had accompanied him to this temple. Hemachandra and the Jaina ministers of Jayasinha wanted that in the absence of a son, Kumarapala who was a descendant of Jayasinha's father's step-brother should succeed him. All the Jaina ministers and rich merchants were therefore secretly helping Kumarapala whim Jayasinha himself disliked. When on the death of Jayasinha (A.D. 1143) Kumarapala actually succeeded him he was deeply grateful of the jainas. "Kumarpala never forswore his ancestral faith and all the epigraphical evidence describe him as a devotee of Shiva." However, the fact remains that in northern India there have been few kings as friendly to the Jainas as Kumarapala. Kumarapala died in 1173. Hemachandra has died six months before Kumarapla's death. The Jaina influence has, however remained strong in Gujarat all these centuries. The Jainas have produced not only many learned men, but they have also continued to built magnificent temples all over the state at such sites where the hand of the idol breakers would not easily reach. In Abu, Vimala Shaha, the minister of the Chaulukya ruler Bhima had built the famous temple of Rishabhanatha in 1032. Exactly 200 years later, two brothers Vastupala and Tejpala, built the famous temple of Neminatha here in 1232. The old temple of Neminath at Girnar (3000 ft.) was restored in 1278. The Shatrunjaya hill (about 2000 ft.) at Palitana was covered by innumerable Jaina temples throughout the ages. One of them, the Chaumukh temple of Adinatha was built in 1618. The Shvetambaras of the neighbouring area of Rajasthan also were great builders. The large and beautiful temple in Ranakpur near Sadri in the Pali district was built to the order on Dharanaka and is dedicated to Adhinatha. In Osia (Jodhpur district) also they continued to built temples for many centuries. Osia is said to be the original home of the Osavala Shvetambara Jainas. A school of miniature paintings flourished among the Jainas of Gujarat from the 11th to the 16th century. It consisted mainly in the illumination of the manuscripts. In the earlier centuries these manuscripts were on palm-leaf, and later on paper. Later the art was taken up by non-Jainas also Krishnalila scenes became their favourite subjects. Near about the 16th century secular subjects, mainly love scenes, were also painted. In the earlier period the background of the paintings were brick-red, but from the 15th century there was lavish use of blue and gold. The characteristics of the Jaina paintings are: angular faces in 3/4th profile, pointed nose, eyes protruding beyond the facial line and abundance of ornamentation. The Gujarat painters in still later centuries became the fore-runners of the Rajput School of Paintings. Thus Hira Vijaya Suri was recognized as one of the 21 most learned people in the Mughal empire. Hira Vijaya Suri was born in an Osavala family in Palanpur in Gujarat in 1527. His parents had died when he was still an infant and he was brought up by his two elder sisters. He became the disciple of Vijayadana Suri in 1540 at the age of 13, and a new name Hira Harsha was given to him. He was taken to Devagiri, a center of Sanskrit learning in those days, for further education. He successively won the title of Pandit in 1550, Upadhyaya in 1552 and Suri in 1553. This last title he won at Sirohi. Hence forth he was known as Hira Vijaya Suri. In 1556 when his guru died the Shvetambara community of Gujarat selected him as their bhattaraka. Akbar heard of him from some local Jainas of Fathepur Sikri and was anxious to meet him. He sent orders to Sihabuddin Ahmad Khan, Governor of Gujarat that Hira Vijaya Suri should he sent to Fathepur Sikri as soon as possible and all possible help such as escorts and elephants and horses as conveyances should be provided to him. There was a great rejoicing among the Jainas of Ahmedabad, when emperor's order was received. Many other learned Jaina Sadhus decided to accompany the Suri to the capital. The Jaina rules for the ascetics provide that they should live only on that much cooked food which a householder would give him out of the cooked food ordinarily for his household. But there would not be that many Jaina household all along the way from Ahmedabad to Fatehpur Sikri to give alms to this large group of Sadhus accompanying Hira Vijaya Suri. Some house holders therefore also travelled with this group. They would leave earlier than the Sadhus in the morning, travel some distance and cook the daily food under a tree on the road side and wait for the party of Sadhus to arrive there. Naturally, Hira Vihaya as a strict ascetic did not avail of the elephants provided by the governor of Gujarat but travelled on foot all the way. Hira Vijaya Suri entered Fatehpur Sikri on Jeyestha Krishna 12, in A.D. 1582. "The weary traveller was received with all the pomp of imperial pageantry and was made over to the care of Abul Fazl until the sovereign found leisure to converse with him. After much talk upon the problem of religion and philosophy first with Abul Fazal and them with Akbar the Suri paid a visit to Agra. At the close of the rainy season he returned to Fatehpur Sikri, and persuaded the emperor to release prisoners and caged birds, and persuaded the emperor to release prisoners and caged birds and to prohibit killing of animals on certain days. In the following year (1583) those orders were extended and disobedience to them was made a capital offence. Akbar renounced his much-loved hunting and restricted the practice of fishing. The Suri who was granted title of Jagad-guru or World teacher returned in 1584 to Gujarat by way of Agra and Allahabad." One of the learned persons who had accompanied Hira Vijaya Suri to Fatepur Sikri remained at court. His name was Bhanu Chandra. It may be mentioned that Bhanu Chandra (as Bhan Chandra.) and another Jaina, Vijayasena Suri (as Bijai Sen Sur) are included in Abdul Fazal's list of "The Learned Men of the Time." Bhanu Chandra and Vijya Sena were learned in the Jaina Shvetambara texts, but did not have the width of vision which the learned men of the first class like Hira Vijaya Suri had. "The writer has met with no one who had personal knowledge of both orders and his account of the Digmabaras has been written as it were in the dark but having some acquaintance with the learned of the Shvetambara order, who are also known as the Sewra he has been able to supply a tolerably full notice." Learned Jainas had been working in the court of Delhi even before the Mughals also. One Thakkar Pheru was the assayer of treasury of Alauddin Khalji (1316) and later became mint master during the reign of Qutubudin Mubbarak (1320). He wrote two works, Ratan-pariksha and Dravya-pariksha. Mahendra Suri wrote a treatise on astrolabes the Yantra Raja. The book was written by Mahendra Suri who was Chief Astronomer and Astrologer of Firuz Shah Tughluq (1351-88). Both Thakkara Pheru and Mahendra Suri appear to have been Shvetambaras. If any other gachchhas still survive they are not well known. An important point about these various gachchhas is that there is no recognizable doctrinal difference among them. What differentiates one gachchha from another is that each of them has its own temples, and also its own holy men. The gachchhas have not, however, frozen into castes in the sense that are not necessarily endogamous. In fact it is difficult to specify what purpose this division serves. At one point no doubt a gachchha meant the group following a particular monk, which is no longer so. There is also no authentic history of the formation of these gachchhas, but there is one method by which we can determine the latest period by which the gachchhas had been formed. It is the general rule among the Jainas that they mention their gachchhas on a stone inscription when they donate a temple or other religious building. By the evidence of such inscription we know that he Kharathragachchha had been formed before A.D. 1090, for the first epigraph which mentions this gachchha is dated 1147 in the corresponding Samvat year. The legend about the formation of the gachchhas vary. One legend has it that one Jinesvara Suri defeated the Chaityavasins in a religious debate in the court of king Durlabharaja and Anahilavada in A.D. 1022 and won the title of Kharatara form him. His disciples were called Kharataragachchhyas. Another legend says that this gachchhas was started by Jinadatta Suri in A.D. 1147. Yet another belief is that it was started by Jinavallabha Suri. Unlike the Digambaras who generally start the genealogy of their pontiffs from either Bhadrabahu II or Kundakunda, the Shvetambaras start their genealogy from Mahavira himself. In one such genealogy belonging to the Brihat-Kharataragachchha it is mentioned that the Jaina sangha broke up into two after the 37th pontiff, Udyotana. This Udyotana had two disciples: Vardhamana and Sarvadeva. The Kharataragachchha, and the Tapagachchha originated with these two disciples respectively. In any case nothing definite can be said today about the originators of the gachchhas. Kharataragachchha is the most popular gachchha nowadays in Gujarat, Kathiwad and Rajasthan. The legend about the origin of this gachchha is that one Jagachchandra Suri had been given the epithet Tapa in view if his severe penances by king Jaitrasinha of Mewar Samvat, 1285 (A.D. 1228). Hence the line of this gachchha are found all over India but are mainly concentrated in the Punjab and Haryana. They run a number of educational and religious institutions. The S.A Jain College, Ambala City, an old institution of Haryana, one of them. The earlier name of this gachchha was Vidhipaksha. The term means "to uphold the sacred rites". The monks of this group us a piece of cloth (anchala) in place of a full mukhapatti to cover their mouth at the time of pratikamana which gave them the name of Ancalagachchha. Vidhipaksha is said to have been formed in A.D. 1156 but the earliest inscription recording the name of this gachchha are found from the 15th century onwards from practically all over northern India. This is the most important protestant movement among the Shvetambaras. Later movements of a similar nature, that is Bijamata, Sthanakvasi, and Terapanth are all offshoots of Lonkagachchha. The originator of this first protestant movement was Lonka Shah, after whom the gachchha is named. Lonka Shah lived in the middle of the 15th century. This century is important in the religious history of northern India. A fresh wing had started blowing at that time. Kabir, Nanak etc. established their sects or religions whose main principle was devotion to an attributeless God, or what is known in Hindi as nirguna upasana. This atmosphere of anti-image-worship appears to have affected Jainism also. Lonka lived in Ahmedabad, but some people say that his original home was in Kathiawad. He was a government servant under the Muslim rulers of Gujarat. One day he saw some Muslim hunters killing birds with a trap called Chidda. He was so hurt when he saw this cruel act that he gave up his job under the Muslims, and started earning his living by copying Jaina religious manuscripts. Once when a Jaina layman gave him the Dashavaikalika Sutra for copying he took it home and started reading it. Much impressed by it, he got two copies made with the help of his widowed daughter and retained one copy for himself for further study. Thereafter he became a keen student of Jaina scriptures. He discovered to his amazement that though the worship of images was very popular among the Jainas of his time there was no mention of image-worship in scriptures. He then started preaching what according to him was the authentic Jaina religion which did not ordain image worship. His manners were so charming that he easily attracted sizable audience. All this infuriated the established monks for Lonka after all was only a layman, and had no right to preach. At about the time a sangha arrived in Ahmedabad. The chief pilgrim among them was on Sambhuji. His grand-daughter Mohabai was a child widow. Both Sambjuji and this girl were greatly attracted by the teachings of Lonka. Other lay members of this group also started listening to Lonka's preaching. This enraged the monks accompanying the sangha, however stayed on in Ahmedabad and became the disciples of Lonka by formally accepting diksha from him. This happened on Jaishtha Sukla 5,V. 1531 or A.D. 1474. Some others say that it happened in A.D. 1476. Lonka did not become a monk, but remained a lay preacher throughout his life; but a number of his disciples become Munis. Among them Muni Sarvji, Muni Bhanaji, Muni Munaji, Muni jagmalji become well known preachers in latter times. Lonka himself though a layman was called Muni Dayadharma by the people and sometimes the sect he had founded was called Dayagachha. Lonka was followed by his disciple Rupa Rishi whom he had ordained in Surat. The next hand of this group was Jiva Rishi, but by that subgroup had already started forming. One Bijia started the Bijiamata in 1513. The main Lonkagachchha was perhaps later called Sthanakvasi. It is also said that the Sthanakvasi is not clear. It might be due to the fact that Stanakvasi monk were resident at one place (Sthanak). Or again as practise their religious duties not in the temple but exclusively at some profane place (Sthanaka) i.e. in a upasraya. Another name of this group is Battisi (the 32-ists) for though they call themselves Shvetambaras, they repudiate 13 of the 45 Shvetambara texts, including the Mahanisiha, for their attitude towards the images, Sthanakvasis are also called Dhundhiya or Dhundhak, meaning the fertile "seekers" in the script. Whatever be its name, the original Lonkagachchha or Sthanakvasi survived nearly intact up to 1760. In that year was started the most important of the reform movements in the Shvetambara community in the recent years. One Bhikhanji, an Osawal Sadhu belonging to the Marwar area started the Terapanthi sect out of Sthanakvasis. Many legends are current about the origin of the name Terapanthi. The one that the Terapanthis themselves like is that this sect believes firmly in the observance of the 13 principal tenets of Jainism, viz., the 5 Mahavratas (vows), the 5 Samitis (rule of conduct) and the 3 Guptis (control of mind, body, and speech). The Sthanalavasis who did not accept the Terapanthi reforms were known as va-is-tola. Terapanthi is still a vigorous movement. One reason for its strength is the rule laid down by the founder Bhikhanji that there should be only Acharya (leader) of the sect. This has reduced the chances of schisms. Acharya Tulsiramji (b. 1914) was the ninth acharya of the sect. He was followed by Acharya Mahapragya, who passed away in 2010.